Naidu alleged that the EC acted "according to the whims and fancies of the YSR Congress Party's candidates"
Questioning the transfer of several officials ahead of voting, he alleged the poll body "failed to live up to the spirit of constitutional duty" during elections in Andhra Pradesh which was "dangerous for the future of democracy in the country". The TDP chief also demanded that the EC return to the ballot paper system. He claimed that the transfer of the DG (Intelligence), who looks after the security of the chief minister, compromised his safety. 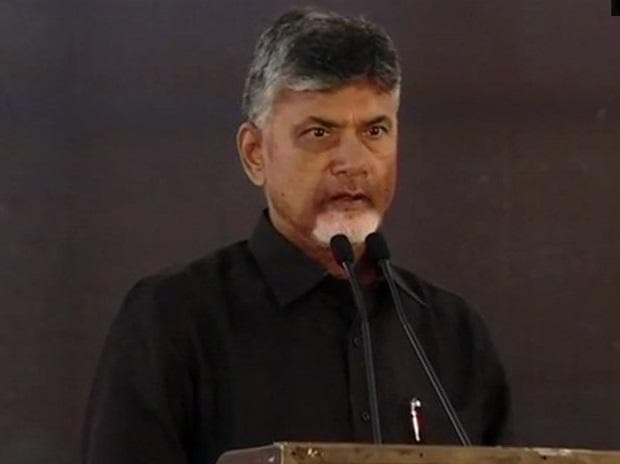 Naidu alleged that the EC acted "according to the whims and fancies of the YSR Congress Party's candidates" as the SP of Prakasam district was transferred soon after the opposition's nominee made a threatening statement against the police officer. He claimed the transfers were made on the basis of complaints of leaders of YSR Congress Party without seeking explanation from the officials concerned. Claiming that EVMs were not foolproof and there was a possibility of tampering, the TDP chief demanded that the EC return to the ballot paper system to "preserve the sanctity of the electoral process". Simultaneous elections were held on April 11 for 25 Lok Sabha seats in the state and to elect a new 175-member assembly.